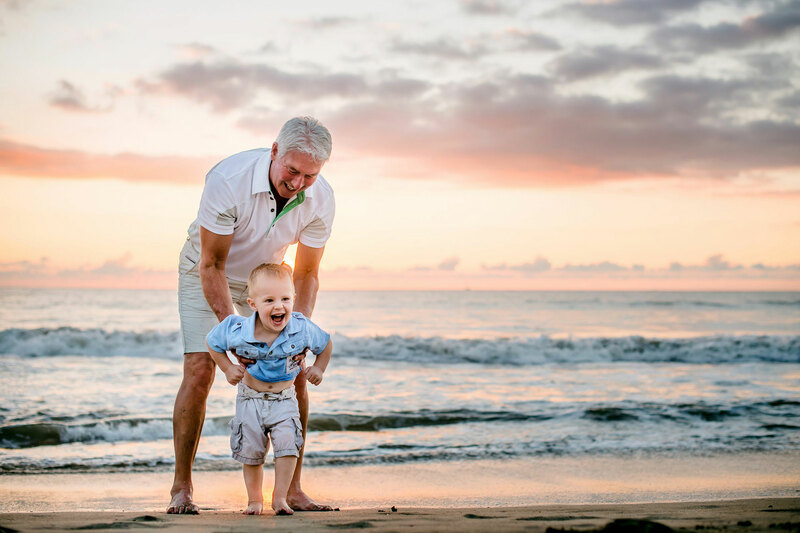 Whether you call it “gramping,” a skip-gen getaway, or a “grandcation,” grandparent-grandchild travel is growing in popularity and offers a different way for the older and younger sets to experience the world. By leaving the parents at home (sorry, mom and dad! ), grandparents can spend quality time with the grandkids and show them the sights of a new or favorite destination. 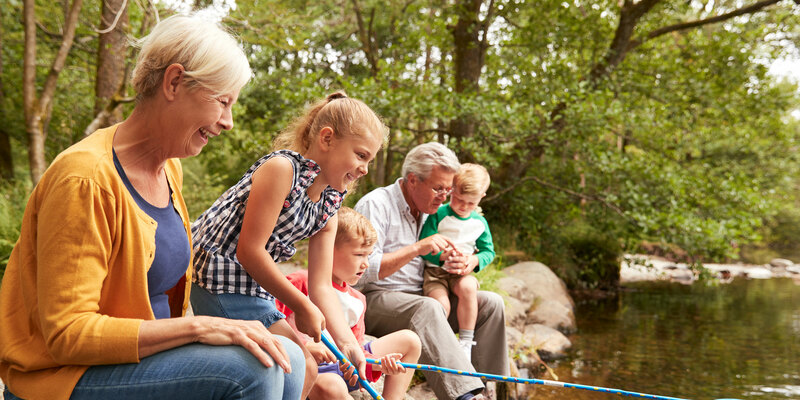 We’ve put together a list of hotels, resorts, tour companies, and other locations that offer special packages or experiences for grandparents who want to take their grandchildren on a memorable vacation. Located on South Carolina’s Isle of Palms, Wild Dunes Resort offers proximity to both historic Charleston and Palmetto State beaches. Its Gramping Getaway Package offers a 10-percent discount at the resort’s Boardwalk Inn, located just steps from the sand. The package also includes a barrier island eco tour and admission to the South Carolina Aquarium for two adults and two children, plus daily breakfast at the inn’s Coastal Provisions restaurant. Resort amenities include oceanfront pools, bike rentals, 17 Har-Tru tennis courts, and a full slate of kids’ activities. In summer 2019, the company is launching new national park camping excursions for grandparents and their grandchildren led by naturalists and local experts at Zion, Bryce, Yellowstone, and Voyageurs National Parks. During its six-day trip to Voyageurs National Park—Minnesota’s only national park—the two generations can travel by canoe to hidden coves and scenic waterfalls, just like French-Canadian explorers did. Participants can also hike, swim, watch for wildlife, and enjoy S’mores by the campfire at this park on the Minnesota-Canada border. Grandparents looking to give their grandkids the trip of a lifetime might want to check out Jacada Travel’s new Africa Skip-Gen Itinerary. The luxury tour operator’s 11-night trip includes a stay at the oceanfront Ellerman House boutique hotel in Cape Town, South Africa, during which grandparents and grandkids visit two local schools. The tour moves on to Kenya’s Angama Mara safari lodge, where travelers help train anti-poaching dogs, then the Seychelles’ North Island, a private island sanctuary where the kids go on turtle patrol and plant indigenous trees with resident environmentalists. Cape Cod is a popular summertime vacation spot in Massachusetts, but the Cape Codder Resort & Spa in Hyannis offers year-round fun thanks to its indoor waterpark with a three-story lighthouse, high-speed waterslides, wave pool, kiddie splash zone, and retractable roof (for when the weather’s warmer). 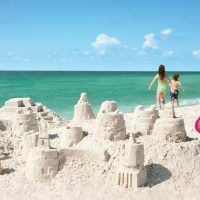 Guests young and old can also partake in a heated outdoor pool, evening movies, and a schedule of kids’ activities at the mid-Cape resort, which offers easy access to beaches, local museums, and ferry service to Nantucket and Martha’s Vineyard. The Grandparents Rule! Package includes onenight of accommodations, admission to the water park, and a $10 arcade voucher, water park T-shirt, and welcome gift for each grandchild. Charming Leesburg, Virginia, is home to a Civil War battlefield, the Museum of Hounds & Hunting (the only foxhunting museum in the world), historic residences open for tours, and cool restaurants located in spaces that led interesting past lives (like a former grain mill and one-time bank). It’s also the site of the 476-acre Lansdowne Resort and Spa, located along the Potomac River. Guests can enjoy five pools, hiking and biking trails, tennis and basketball courts, and 45 holes of golf. The resort’s Grandparents Package features overnight accommodations, a s’mores kit for use at the Lansdowne’s fire pit, a kid-friendly in-room movie, and breakfast at the resort’s Riverside Hearth restaurant. Playa del Carmen’s Grand Velas Riviera Maya offers a family-friendly, all-inclusive getaway with suite accommodations, kids’ and teen clubs, and activities like snorkel and kayak tours. Grandparents can add to that fun with two new skip-gen experiences offered by the Mexico resort. Grandparents and grandkids can travel by private plane to visit Chichén Itzá, where they get a private tour of the famous Mayan ruins, a lunch featuring regional favorites, and the chance to swim in a natural sink hole. The second experience features a private plane trip to the colonial city of Merida and the ruins of Uxmal, one of the most important archaeological sites of Mayan culture. After a private tour of the UNESCO World Heritage Site, grandparents and grandkids enjoy lunch and a carriage ride in Merida. Grandparents may not understand today’s pop music. But they can show the grandkids who was the King in their day at the Guest House at Graceland. The luxe Memphis hotel is located just steps from Elvis Presley’s Graceland mansion, making it easy for grandparents and their grandkids to visit the legendary piece of rock-and-roll history. The Guest House at Graceland offers standard rooms and themed suites, two full-service restaurants, an outdoor pool, and shuttle service to downtown Memphis. But its coolest amenity? A complimentary evening peanut butter and jelly station complete with sandwich add-ins like chocolate chips, marshmallows, M&M’s, and sliced bananas. AARP rates are available, along with packages that combine hotel stays with Graceland tours. Vantage Deluxe World Travel is another tour company that offers lots of multigenerational experiences. Its Canada tours are popular choices with the grandparent set. “We’re always adding features in that appeal to all ages for these rite of passage trips where grandparents and grandchildren are making memories together,” says Carley Thornell, a member of Vantage’s marketing team. For 2019, the Grand Canada Adventure: Rockies & National Parks tour travels to spots like Lake Louise, Banff National Park, and Vancouver and includes activities like glacier and gondola rides, a seaplane tour, and a walk across a suspension bridge. 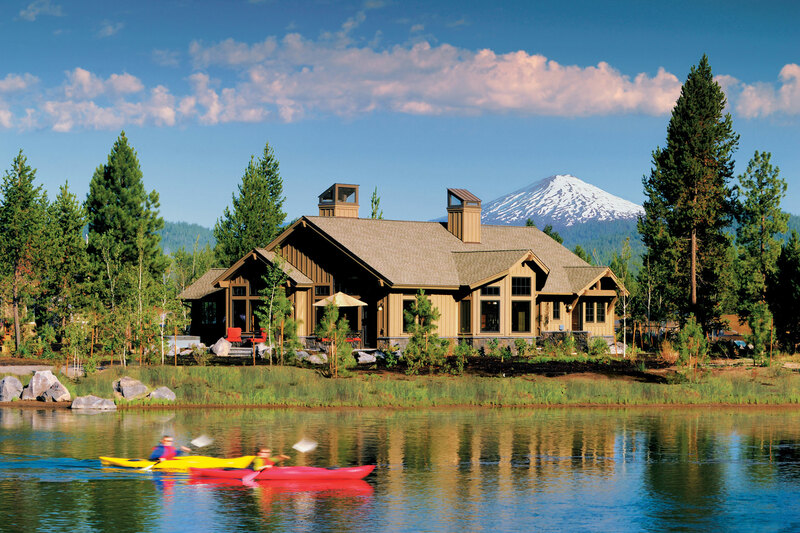 Set in the foothills of Oregon’s Cascade Mountains, Sunriver Resort offers four championship golf courses, horseback riding, indoor and outdoor tennis courts, easy access to a variety of outdoor activities, and the only private resort airstrip in the Pacific Northwest. Its Getaway with the Grands Package provides a $100 daily resort credit that can be applied to resort activities. Options include stargazing at the Sunriver Observatory, a canoe or cave adventure, and an indoor camping kit with a teepee tent and sleeping bag so the grandkids can pretend they’re dozing under the stars. At Leaping Lamb Farm, guests can choose to help out with chores like feeding sheep, brushing the resident donkey, and helping collect and bottle feed lambs during spring lambing season. During the summer, the creek is a popular spot for exploring, or guests can search for fairy houses on hikes in the woods. “Some grandparents were maybe brought up on a farm, but for the most part it’s brand new for kids,” says Jones.